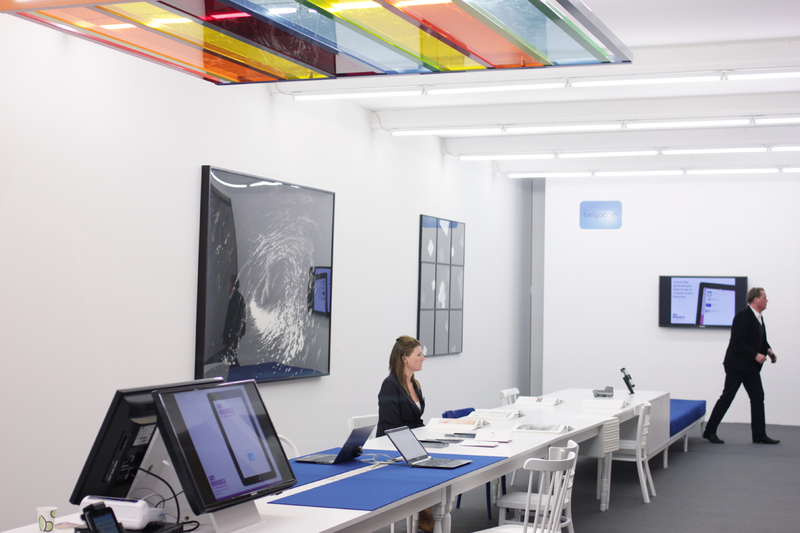 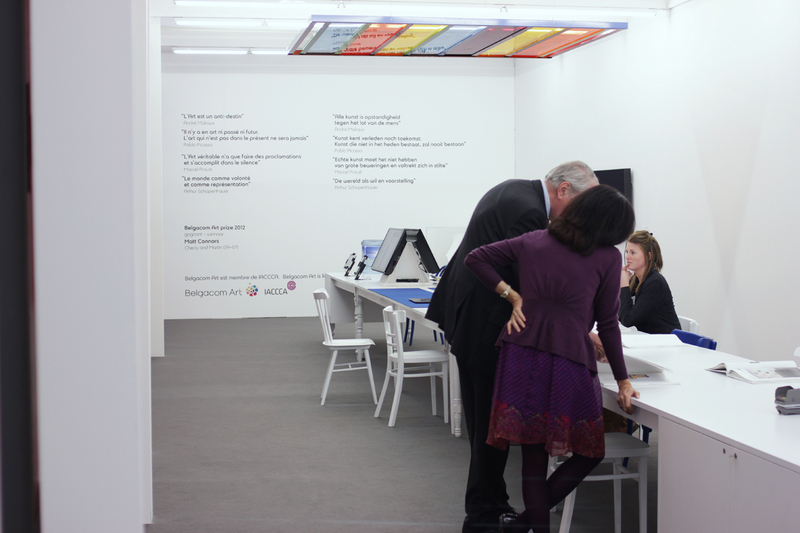 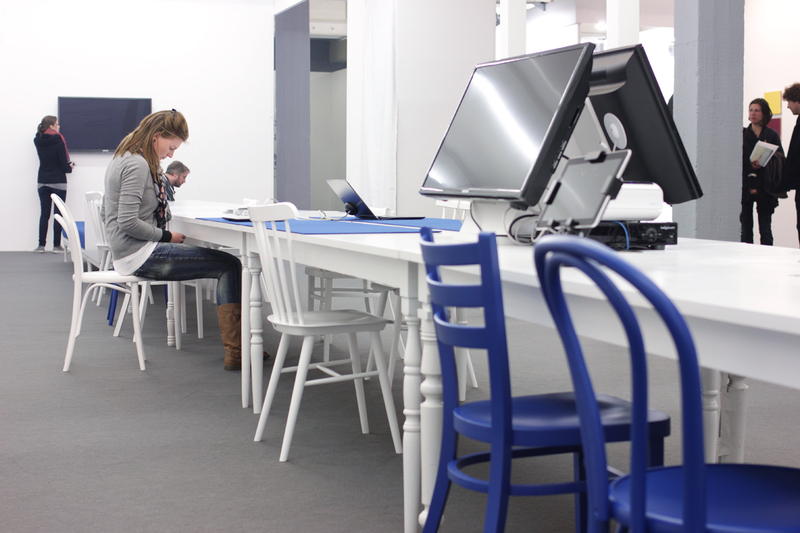 Creation of a booth to display the Belgacom Art Collection at the "Art Brussels" fair. 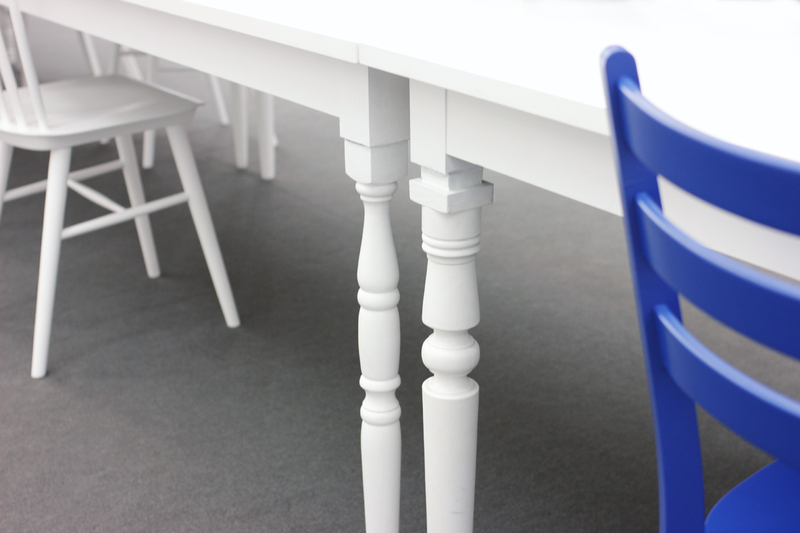 A multifunctional 15-meter long table, built for the previous fair, was slightly adapted for this year's edition. 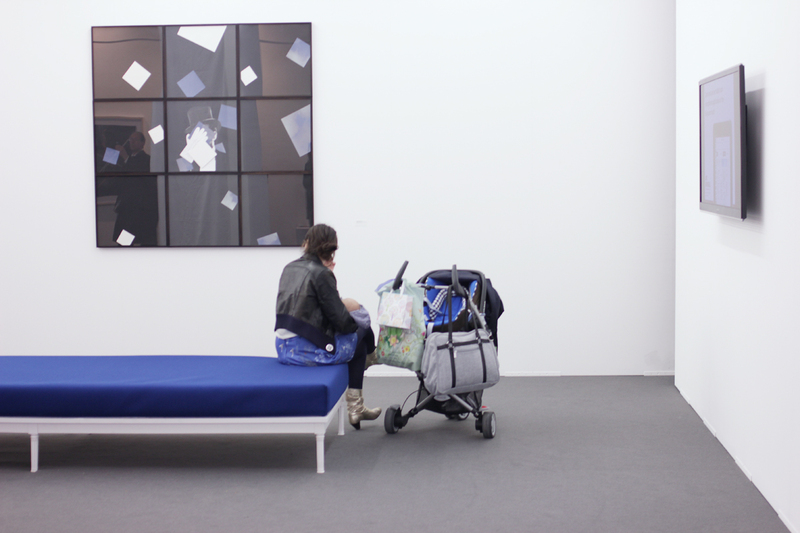 The colour blue brings rhythm in the overall view.